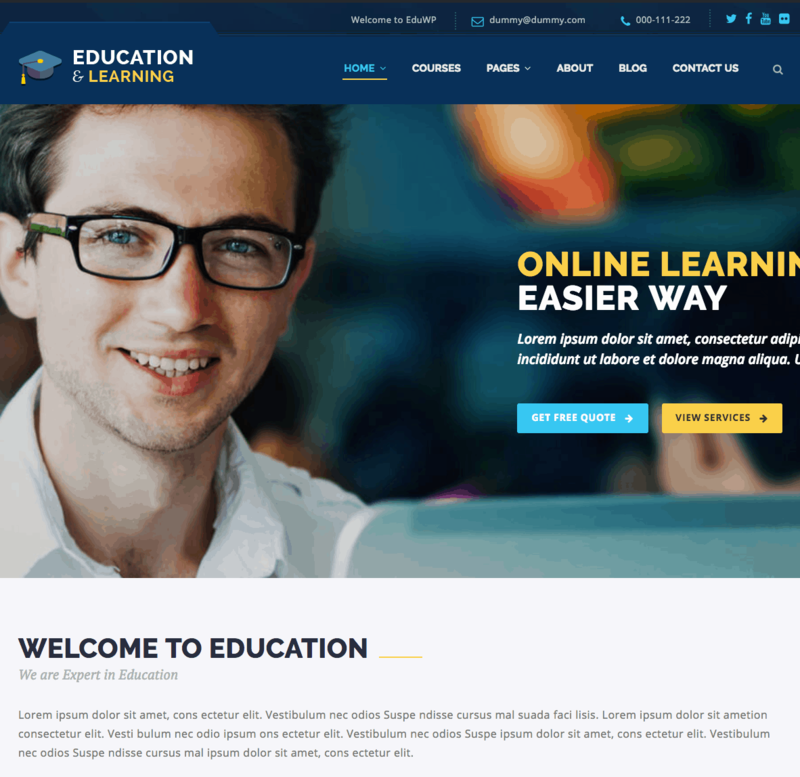 Give your educational institution or teaching services a powerful online presence with a website powered by EducationWP WordPress theme. Specially designed to cater to various needs of educational institutions and service providers, this theme allows you to quickly install an effective website and customize it to suit your needs. Four attractive home page variations are available for you to choose from. Additionally, you can add all relevant details like course options, testimonials, information on staff, blog articles, institution details and even forms to your website with the powerful drag and drop feature of Visual Composer. This theme is designed to adapt easily to all screens with its Bootstrap technology. Your customers will enjoy easy navigation and access to all website information with its clean and simple layout. Easy to set up and install, our dedicated customer support channel will provide you with assistance for all your needs. You also have the option to test the features for yourself with our demo setup, prior to purchase. Power your education service website with EducationWP and stand out from the rest of the competition.